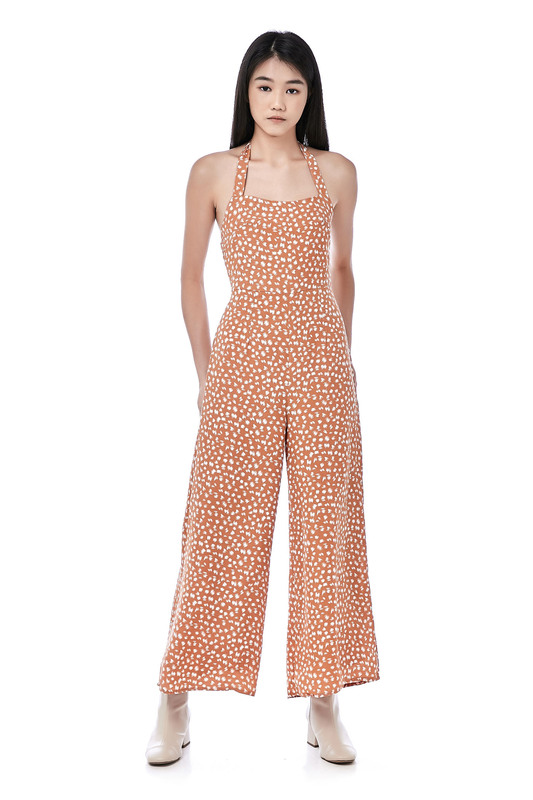 This sleeveless jumpsuit is made from polyester with no stretch. 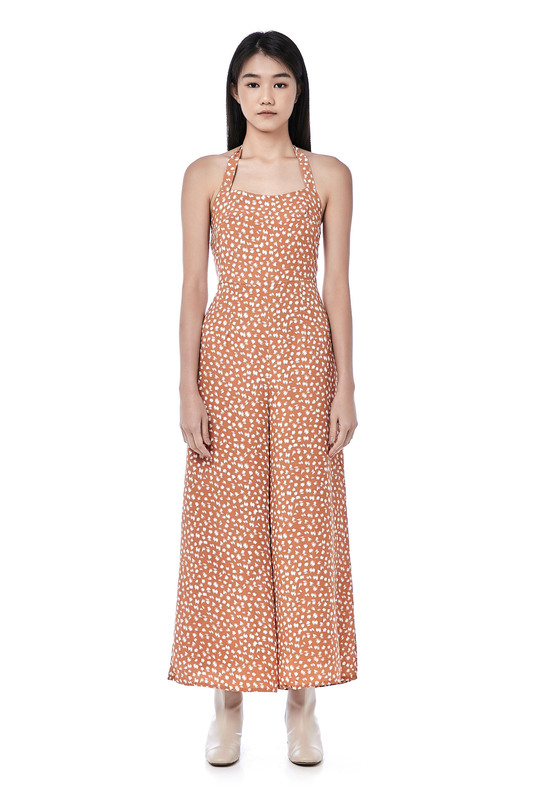 It has a straight neckline with halter strap tie and wide legs. Made in a slim fit with zip closure and elastic band on the back. BUST 26"/32" 28"/34" 30"/36" 32"/38"
RISE 14.5" 14.5" 14.5" 15"
THIGH 24" 24" 25" 26"
LENGTH 52" 52.5" 53.5" 53.5"